John Vansice hasn’t spoken publicly since the disappearance of Jodi Huisentruit nearly 24 years ago. For years, journalists, bloggers, investigators and case-followers have tried to speak with him and ask him questions about where Jodi could be. Some have ambushed him. Members of FindJodi.com, Inc. have spoken with him in the past outside of our roles with this website. But no one has been able to sit with the man and have him open up about Jodi’s case and his experiences surrounding the last 24 years. FindJodi.com has recently been in communication with Steve Ridge, a prominent media consulting executive with Magid and native Iowan. Ridge has recently convinced Vansice to do several in-depth interviews about Jodi Huisentruit. What you’re about to read is a statement crafted by Ridge, that has been approved for release by John Vansice himself. Ridge met with Vansice and spoke with him for several hours over multiple meetings and conversations without attorneys present. The content of the conversations covered information never before revealed in the case involving the disappearance of Jodi Huisentruit in relation to John Vansice. To this day, Vansice denies any involvement in Jodi’s case. Further, Ridge says he is in no way representing Vansice. This statement is but a one-time effort to relay John Vansice’s thoughts culminating the last 24 years to the public and the experiences he’s had during that time. None of the FindJodi.com team members spoke with or met with Vansice. Our website is, and always has been the most up-to-date resource of information regarding the disappearance of Jodi Huisentruit. Steve Ridge wanted to release this statement about Vansice on our platform to inform our broad audience whose primary interest is bringing Jodi home. We have all witnessed the extensive media coverage – local, national and international – since Jodi Huisentruit disappeared in June of 1995. The national coverage by network news organizations and magazine shows has continued with each painful anniversary of Jodi’s disappearance. Of note, is the tremendous focus that continues to be placed on one person of interest, John Vansice, who now makes his home in Arizona. It is commonplace for the coverage to place an emphasis on the fact that John Vansice has remained quiet for some twenty-three years. 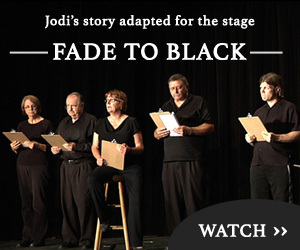 It is somewhat ironic that my firm played a role in Jodi’s brief career every step of the way. In 1992 my firm conducted communications training for Jodi just down the street from my office in Cedar Rapids, Iowa. When Jodi moved to Alexandria, Minnesota her television station was a client and our communications training staff coached her there, as well. Eventually, Jodi moved to Mason City to become the early morning anchor for yet another Magid client, KIMT-TV. Our team thought Jodi showed tremendous potential. WATCH: Jodi conducting an ‘anchor read’ for Magid in 1993. This video is from Jodi’s personal VHS collection and from Magid. Today, I am here to tell you that John Vansice has told me emphatically and repeatedly as recently as this morning that he had absolutely no involvement what so ever in the apparent abduction of his friend, Jodi Huisentruit, in June of 1995. Further, John Vansice tells me that he will not have further comment to the media until Jodi’s abductor is arrested and charged. Mr. Vansice says that the statement I am sharing with you today is a one-time only exception. As part of the media work that I do, I was able to establish contact with Mr. Vansice and his wife, Jane. I am not here today to make any personal observations about this case; or to judge anyone’s guilt or innocence. I am here today because John Vansice and his wife Jane have asked me to share this statement on his behalf. I can tell you that Mr. Vansice granted me unlimited access to his entire family, and I questioned him in detail on multiple occasions. I spent at least eight solid hours pressing John Vansice for every last detail of his memory of events, people and places. No question was off limits and none of my questions were shared in advance. No lawyer was present. No restrictions were placed on how I might use the information from our discussion. Let me emphasize, I am not here to represent Mr. Vansice as an agent, a permanent spokesperson or advisor. I am here to simply relay, as best I can, Mr. Vansice’s sentiments. Mr. Vansice says he has been living in a “suspended hell” for nearly twenty-five years, since the disappearance of his young friend, Jodi Huisentruit. Mr. Vansice says he has spent these many years mourning the loss of Jodi, and sharing the pain felt by Jodi’s family, her many friends, as well as her many admirers who were used to seeing her cheerfully greet them every morning in northern Iowa and southern Minnesota. Since June of 1995, there has been much speculation by the news media, bloggers and the general public. Mr. Vansice says that he understands that inquiry, curiosity and speculation is natural given the circumstances of Jodi’s disappearance. When there is a lack of information, disclosure and insight, speculation often fills the void. Since the sudden disappearance of Jodi, John Vansice says that he has fully cooperated with all local, state and federal law enforcement officials. He says that he has been the subject of two voluntary polygraph tests, DNA testing, finger and palm printing, and even a voluntary hypnotism session to help glean any bit of information that might help authorities find Jodi. John Vansice has given me a copy of a March 2017 subpoena to appear before a grand jury at U.S. District Court in Cedar Rapids, Iowa, as well as other related documentation. Mr. Vansice says that although he was promised round-trip airline tickets, no tickets were ever received and that he feared that he would be arrested in Arizona for failing to appear and that he would be extradited back to Iowa, making him once again look like a criminal with something to hide. Mr. Vansice says that at the very last minute, he and his wife drove 1,475 miles through the night to appear in court as the subpoena demanded. Mr. Vansice says that this was the second time he has been asked to provide finger and palm prints for both hands and a DNA swab. This appearance in Cedar Rapids U.S. District Court was never discovered or reported by the news media, although it preceded by just two weeks the much-publicized search warrant demanding examination of GPS data on two Mr. Vansice’s vehicles. John Vansice says that he has not spoken publicly, in the hope that insight he has shared only with authorities might help unravel this mystery. John Vansice says that he did not even retain legal counsel, trusting that authorities were working in good faith to find Jodi’s abductor, and that they would eventually clear him of any wrong-doing. Mr. Vansice says the barrage of publicity forced him to leave Mason City. He says he lost his job, his home, two apartment buildings and his boat — virtually everything he owned. Mr. Vansice says that he also lost his friends and his dignity. Mr. Vansice says he moved to Arizona to start a new life. John Vansice told me that the first six to eight months after he arrived in Phoenix that he was aggressively harassed by local law enforcement. Mr. Vansice says that he was the victim a half dozen unwarranted traffic stops but was never ticketed for anything. Each time, Mr. Vansice says the officers pressed him hard to disclose where Jodi’s body was disposed of. John Vansice has clarified that the name “Jodi” was never emblazoned on his boat, as has often been implied in media reports over the years. Mr. Vansice says that referring to the boat informally as Jodi was his way of showing his admiration for Jodi, and that she was flattered by the gesture. John Vansice says the national media has also continued to pursue him. Mr. Vansice says 48 Hours recently showed up at his home unannounced and knocked on his door with cameras rolling and lights glaring. Mr. Vansice described it as a surprise ambush. Just last week, Mr. Vansice says a crew of thirteen people in four vehicles from a national filmmaker showed up unannounced. Mr. Vansice says he has wonderful, supportive neighbors, but that this high-profile invasion of his quiet neighborhood was extremely disruptive. Although actually only about the result of a bit of humor about life, one could easily assume that it was frustration that led to the placement of a mat at the front door that reads simply, “Go Away”. Given the limited amount of disclosure of information by authorities over time, Mr. Vansice believes it is also natural that the news media would seek him out to question him. Mr. Vansice believes a free press has a duty and obligation to keep the public informed of developments and dig within reason to find the truth. Mr. Vansice says that he has never complained about media attention to the case – as ongoing heightened awareness by the public could surface the one bit of information that could eventually bring Jodi home. John Vansice wants it to be known that his lack of public comment has come in the interest of resolution of this case, and the much-needed closure for family and friends. John Vansice asked me to tell you that he had nothing to do with the sudden disappearance of Jodi Huisentruit in June of 1995. Mr. Vansice says he went from the elation of an uplifting friendship with Jodi and her many friends to the shock and despair of her sudden disappearance. Mr. Vansice says that he simply wants to once again profess his innocence and let everyone know that he prays daily for the identification and prosecution of Jodi’s abductor or abductors, and the dignified return of northern Iowa’s long-lost friend. Finally, let me emphatically restate that John Vansice does not intend to make any further comment of any kind to the media. Mr. Vansice asked me to convey that he will not be giving interviews to the news media under any circumstances. Mr. Vansice asks that the media not attempt to contact him in person, by phone, by mail or e-mail. Mr. Vansice and his wife Jane ask that the media respect their right to privacy and allow them and their neighbors to live in peace. Again, let me say that I do not represent John Vansice in any way. I am not his agent, advocate or permanent spokesperson. I turned in my working journalist hat many years ago. I will, however, always be gratified by teaching others how to effectively dig for the truth. In this unusual case my research simply put me in a position to become a one-time conduit for Mr. Vansice’s surprising openness. I would like to thank the founders of FindJodi.com for facilitating the release of this statement and wish them good luck in pursuit of the truth. Want to learn more? And who is Steve Ridge? FindJodi.com’s Caroline Lowe interviewed Steve Ridge to ask him why he was drawn to Jodi’s case, how he managed to earn John Vansice’s trust and more details surrounding this unprecedented access with the man at the center of the Jodi Huisentruit case. You can read that interview here.